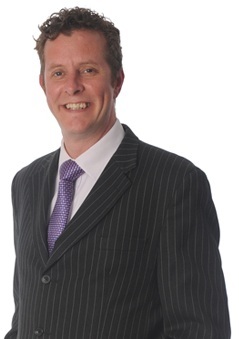 Rory has rejoined Wace Morgan as a Partner having spent the last nine years or so working in Birmingham. Rory is a specialist in all aspects of residential development, and in social housing in particular. He has acted for nine of the top 10 UK house builders, multiple registered providers and local authorities. He has a solid track record for unblocking S106 negotiations, and getting bulk affordable housing sales or purchases “across the line” whether that be to achieve grant funding and or year end deadlines. He acts in respect of all forms of deal structure including strategic land acquisition, off the shelf (turn key) sales, golden brick sales, stock rationalisation, regeneration projects and contractual joint ventures for housing development. In tandem with his “day job” as a development specialist at Wace Morgan, Rory is also an independent Board Director & Vice Chair of Severnside Housing Association Limited in Shrewsbury. Alongside his co-directors he is responsible for and decides upon the strategic direction of this not for profit registered provider of affordable housing. He loves anything to do with motorbikes. Rory especially loves travelling and exploring new places on two wheels, the smell of cut grass, children waving, and flies hitting the back of his throat whilst singing classic rock tracks. Having cut his commute from 50 miles each way per day to just 1 mile each way Rory is looking forward to using some of that extra time swinging a club on a fairway or two and praying to the God of Golf.